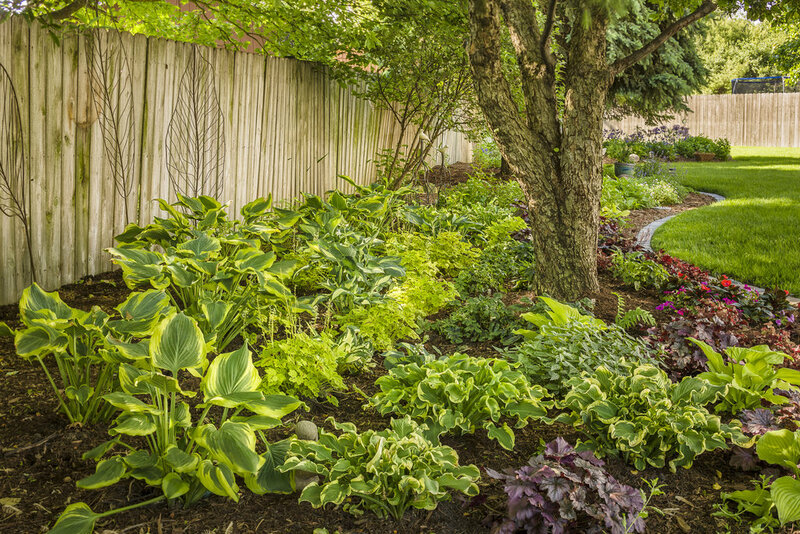 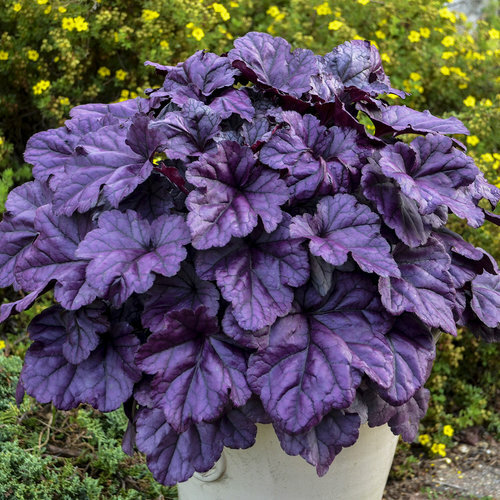 Get a splash of purple in your garden! 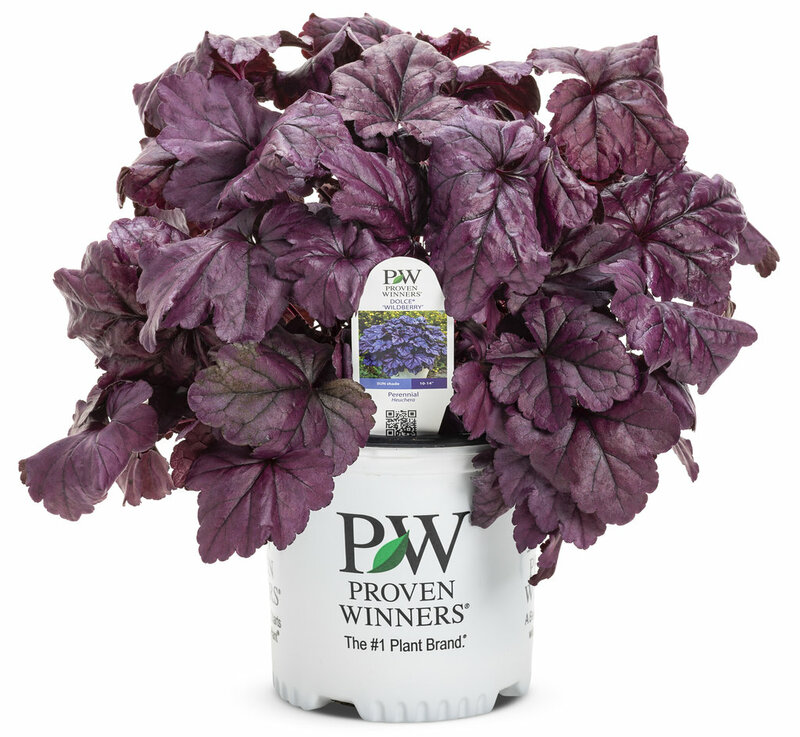 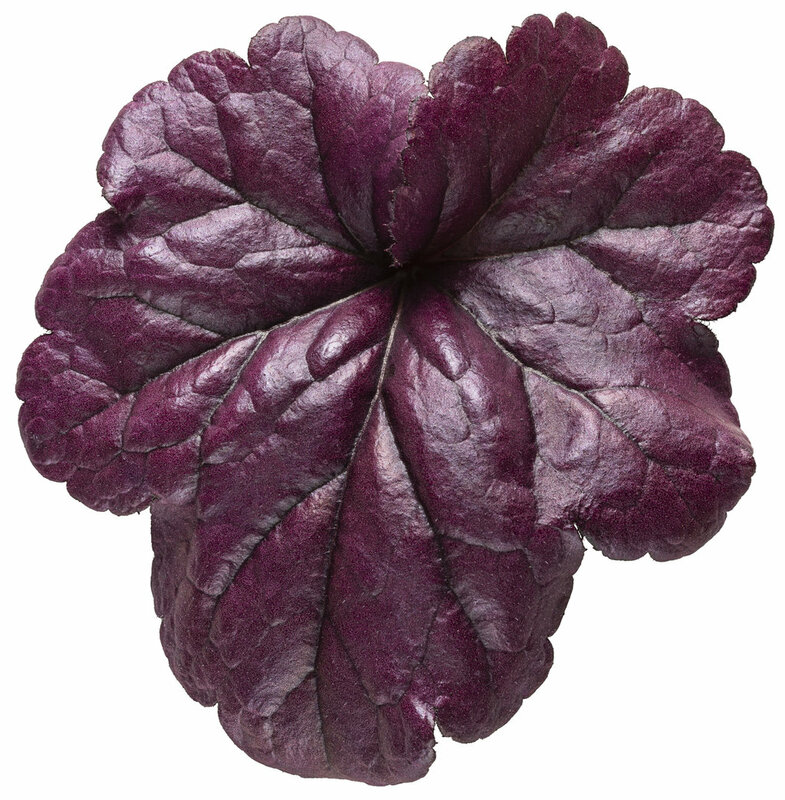 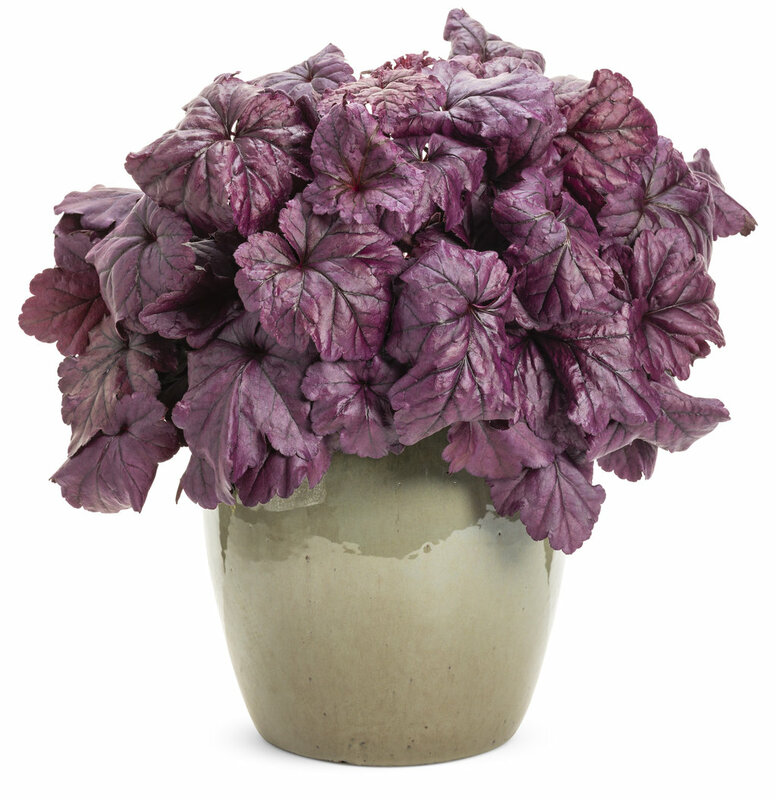 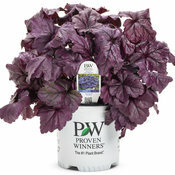 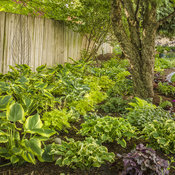 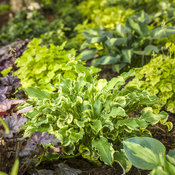 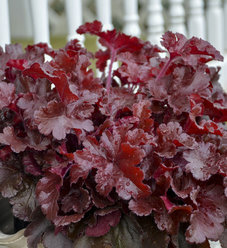 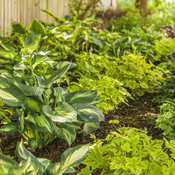 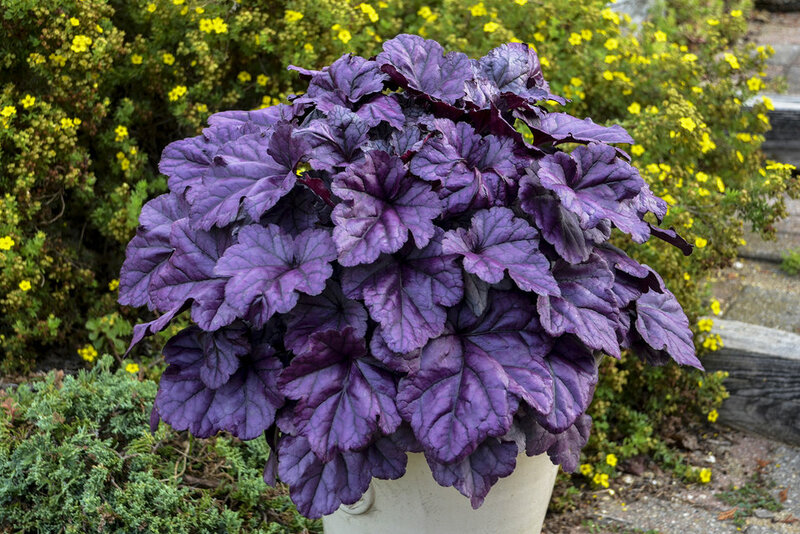 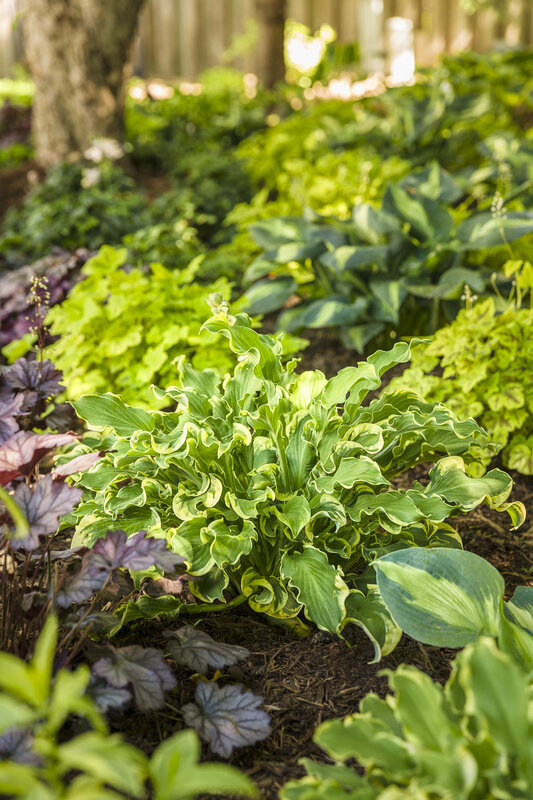 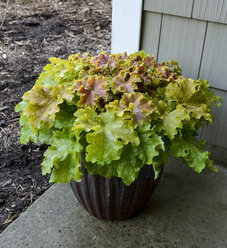 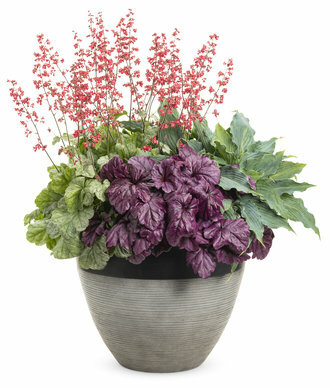 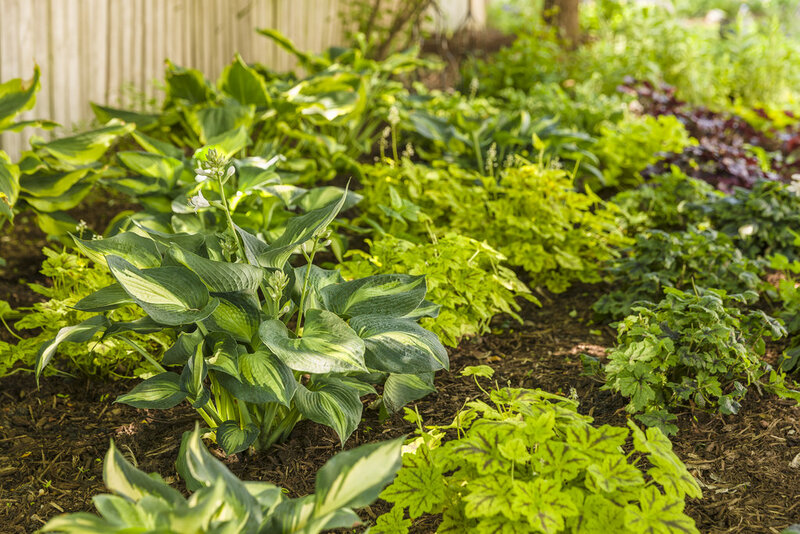 Large, scalloped, incredibly glossy leaves are a bold shade of purple. Charcoal veins accent the leaves. 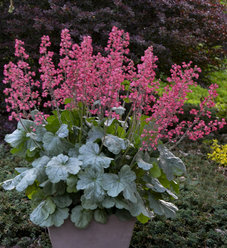 Dark stems hold rosy pink calyxes and white flowers.